This post has affiliate links. All opinions are authentic and my own. Please see my disclosure policy. Who Is The Explosive Child For? What Does The Explosive Child Teach? In The Explosive Child, Greene emphasis the importance of understanding the root cause of the child’s difficult behavior. And reminds us that “Children do well if they can.” This statement changed me as a parent. And not just as a parent to my “explosive” child, but as a parent to all of my children. It reminded me to look at my children’s behaviors as their reactions to situations and not as WHO THEY ARE. YES! I could tell that my son’s outbursts hurt him just as much as me. I KNEW he was not just being manipulative. And this book UNDERSTOOD! Next, Greene outlines how to find and strengthen the skills that your child is lacking – language processing skills, emotional regulation skills, social skills, etc. – that are the “pathways” to his explosive behavior. And he sprinkles in lots of sample scenarios and conversations, too. Once you’ve identified your child’s pathways and triggers, Greene recommends that you look beyond standard reward and punishment programs (at least for these children) and try Collaborative Problem Solving (CPS). While Greene goes into more depth in The Explosive Child, here are the basics of CPS. There are 3 Plans – Plan A, Plan B, and Plan C – to deal with unacceptable behavior. Plan A = Handling the problem by imposing the adult’s will. Plan B = Collaborative problem solving with the child. Plan C = Giving in to the child’s will. There is a time and place for all plans, but generally Plan B works best. There are two types of Plan B – Emergency and Proactive. Try to be proactive and collaborative problem solve with your child when he is calm about recurring problems. There are 3 Steps to Plan B: Empathy, Defining the Problem, and Invitation to Brainstorm Solutions. Greene gives lots of example conversation and collaborative problem solving techniques to “practice.” But since reading The Explosive Child, and after a little practice, I find myself integrating some of these techniques more naturally into my parenting. (Although after writing this review, I’m thinking I’m going to re-read the book for a refresher!) While this book was a HUGE help, reading it also helped me to see the difficulties that my child was having as a developmental delay. It gave me the confidence to pursue the diagnoses and get the help that he we need to fully understand and deal with it. Looking for More Parenting Books? 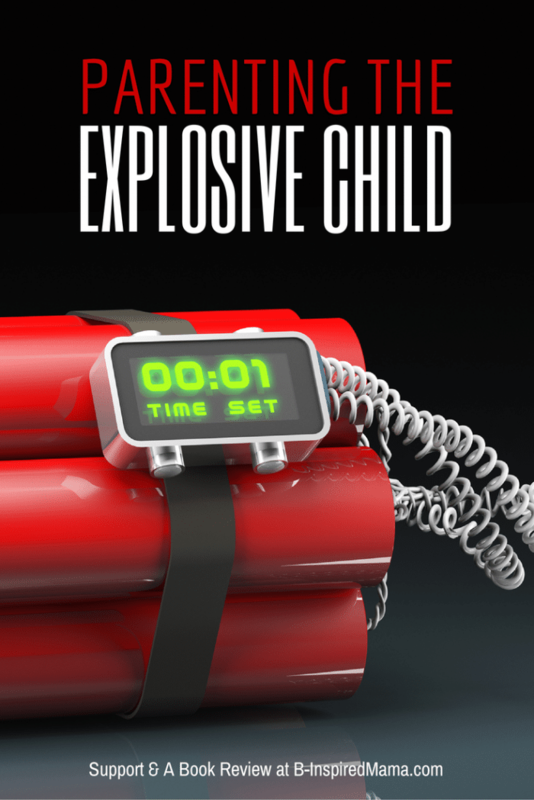 So do you have an explosive child, too? Do you think this book would be a help? Or do you have any other parenting book recommendations? I have a friend that has an explosive child, I will be sending her a link to this page. This sounds worth reading! My 9-year-old son is not usually explosive in a really sudden way, but he is very persistent about wanting certain things and gets into conflicts (particularly with his dad) that escalate into really intolerable behavior. I’d like to learn more about this Collaborative Problem Solving. We recently got some help from the book Kids, Parents, and Power Struggles by Mary Sheedy Kurcinka. Although it has the same basic message as many other books (acknowledge the emotions that are behind your child’s behavior; get a grip on your own emotional response), it gives better and more specific advice on HOW to do these things. It has some really helpful sections about different personality traits, how to recognize where you and your child each fall on the continuum of a trait, and how to cope with the power struggles that result from your being opposites on a trait or from being the same and butting heads because of it! 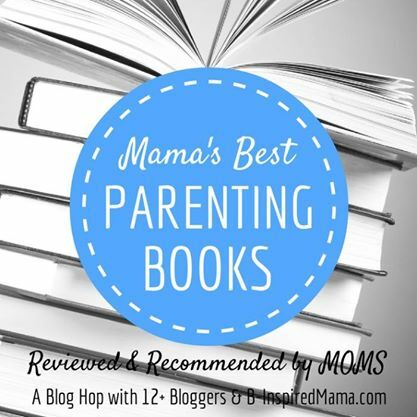 Here are my reviews of some other favorite parenting books. Oh that book sounds good, too! Thanks for sharing, Becca. Interesting post Krissy … I really like the idea of looking at pathways to explosive behaviour and identifying the skill gaps that are leading to the explosions.